As a basic scientist, most of my neuroscience training and research has focused on the underlying biological mechanisms of disease. During the past year, I have started working with a natural compound in my research on Parkinson’s disease. Curcumin, the active ingredient in turmeric spice, can act as an anti-oxidant and anti-aggregation agent, and may have a positive effect on the Lewy bodies found in Parkinson’s patients. At first, I was a bit skeptical about natural compounds and alternative therapies. But as I’ve read more of the literature, attended conferences, and talked with other researchers in the field, I have hope that research on natural compounds could lead to potential therapies. However, for most compounds, many more studies are needed. For a clinician’s perspective on recommending natural compounds to his Alzheimer’s patients, see Dr. Joe Quinn’s post from a few months ago. 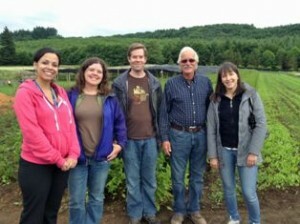 I and a few other OHSU scientists recently took an educational trip to the herbal supplement company Oregon’s Wild Harvest farm in Sandy, Ore. Prior to this trip, I had very little knowledge about how herbs were processed into supplements, or into the compounds that I use in the lab. My colleagues and I gave short presentations on our research projects involving natural compounds, and the Oregon’s Wild Harvest staff were engaged with and curious about our experimental findings. We then took a tour of the farm and production facilities. 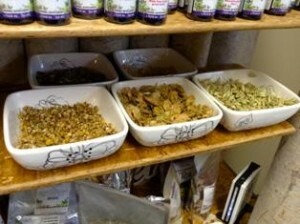 I was impressed with the streamlined process of testing the herbs for quality control, drying and combining particular herbs into supplements, and finally packaging the supplements into capsules for bottling and labeling — all done in a few small buildings on a family-owned farm, practically right in my own back yard. It just so happened that Oregon’s Wild Harvest, or OWH, was producing its turmeric supplement during my visit, which I was very curious about since it is the natural compound I’m investigating in Parkinson’s. It was interesting and informative to compare notes with the company’s staff about which turmeric forms they put in their supplements and why. Observing the front end of herbal supplement production gave me a new perspective on how my research is connected to the bigger picture. 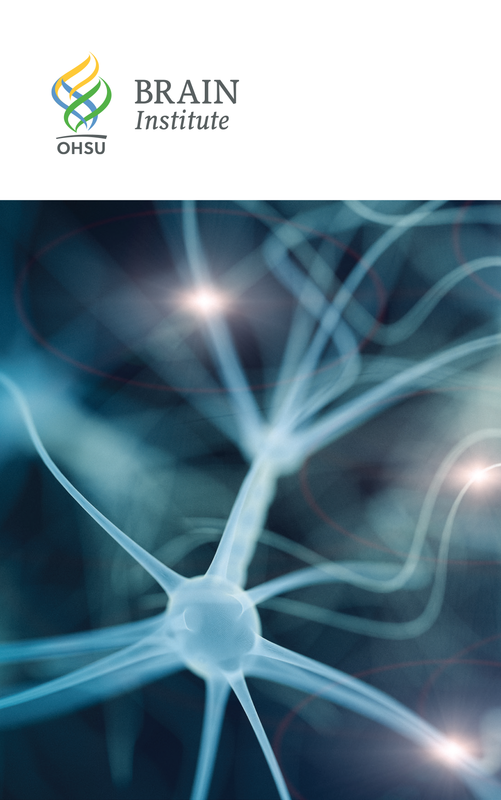 As a neuroscientist, I always strive to see the “connections” between my research in the lab and other sectors of society. I now have a better understanding of how curcumin is transformed from the root of a plant to the compound I use in the laboratory. It was refreshing to interact with the founders and staff of OWH, who approach natural compounds from the farmer’s and manufacturer’s point of view — a perspective that is good to keep in mind as my research progresses forward. While natural supplements and alternative therapies are becoming more main stream, clinical trials using natural compounds, including curcumin, to treat neurological diseases have been disappointing thus far. However, a few of the scientific studies currently underway at OHSU are giving some exciting positive results. As the scientific community continues to investigate potential therapeutic applications for natural compounds, I believe it’s important for us to also stay connected to where and how these compounds are derived.